Imagine you’re a college professor, practicing physician, or busy working professional. Sometime in spring, you receive an email - it’s Johnny or Jessica Pre-med - some young excited face you can barely picture. He or she was in your lecture two years ago, spent some time shadowing at your hospital, or interned for your company last summer. Johnny or Jessica has provided a very rough draft of a personal statement and a lengthy, cluttered resume. According to the email, you have one month before he or she needs your letter. There are undertones of desperation beneath his or her professional veneer. Does this sound like a good formula for a stellar letter of recommendation? Of course not. In an ideal world, all pre-meds would be able to find letter writers who possess the intimate insights, ample time, and writing savvy to capture their greatest qualities as a candidate. But life is imperfect. Maybe you decided to go pre-med a little on the later side, and you’ve had to scramble to find suitable letter writers. Maybe you’ve been out of school for a while, and you’re stuck reaching out to any professors who might remember you. Maybe you haven’t done enough to float above the sea of other volunteers or lab assistants to get yourself noticed. Even if you find recommenders who know you well, they might be lousy writers. You might already know this about them, or it might be an unpleasant surprise. You might never get to see the letters (as ethically intended), but more and more often, students end up having a role in writing their own letters. Facing this task isn’t the end of the world, but it’s a bad sign - it means that the recommenders don’t know you well enough or don’t care enough to do it themselves. I’ll provide tips for both scenarios, whether you have control over the letter or not. Reason #1 - Your letter of recommendation sounds like your resume. A personal statement should be more than a narrated resume, and the same principle applies to a letter of recommendation. When helping students write letters or reviewing ones they’ve received from recommenders, I constantly see long laundry lists of tasks, responsibilities, awards, accomplishments, etc. - a bunch of surface-level stuff that can already be learned from the activities in your AMCAS. I almost fell asleep writing that. It might seem impressive, but it’s actually quite boring and dense. I am left with almost zero impression of this candidate’s character and personality. 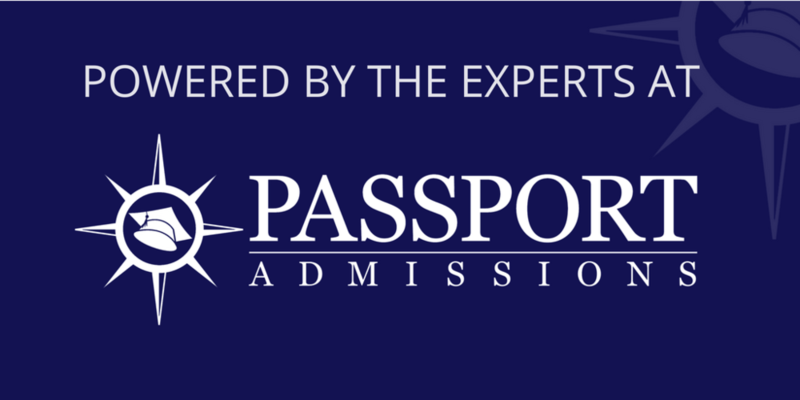 Don’t forget that admissions documents should be enjoyable, or at least engaging, to read. On top of that, its vagueness will be suspicious to admissions committees. Why does this person’s supposed mentor sound like a stranger? Why is he or she simply regurgitating Johnny’s resume? Is it because the recommender doesn’t really know Johnny well at all? Hmm…. If this thought crosses their minds, your letter has failed. This is not the vibe you want! The Solution - Use compelling stories and select your recommenders carefully. See the difference? By zooming in and sharing specific examples, the letter can truly display your best qualities. I not only know Johnny better now, but I also see why he’s valuable. When letters are qualitative and detailed, they will prove that the recommenders know your character intimately and that you left a significant impression on them. The problematic, resume-like narrative often results from poor selection of recommenders. So it should be any pre-med’s goal to secure letters from supervisors who can vividly speak towards their character beyond what’s on paper. If you have any control over your letter, this problem will be easier to avoid. You’ll be able to write examples with lots of specificity, since you lived them out in the first place! Try to make a list of your biggest contributions within the lab, class, or internship - the times when you went above and beyond your job description. Those moments of initiative and unprompted effort always leave a positive impression on admissions committees. If you don’t have any control over your letter, you can still try to avoid this issue. When asking for letters, you can politely and humbly suggest possible inclusions and examples as a way to “jog the memory” of the recommenders. They deal with hundreds of students, employees, or researchers each year, so they might NEED these refreshers anyway. As long as you’re not pushy about it, they’ll most likely appreciate the guidance and suggestions. Reason #2 - Your letter of recommendation doesn’t show you as qualified and unique. This problem - a lack of a targeted argument - results from the “anything and everything” approach that often plagues students’ resumes as well. You can use our Simple Pre-med Resume Guide & Example as a starting point. Although it’s tempting to compile ALL of your accomplishments, successes, and contributions, it’s a recipe for disaster (see: Reason #1). I think the misguided hope is that being exhaustive will ensure that medical schools get what they’re looking for, whatever that may be! But in actuality, this approach will scatter their impression of you and make your letter much more forgettable. The Solution - Focus on illustrating two or three relevant qualities and connect them to your future career. I chose these because I see them as the rarest yet most important qualities for pre-meds. But don’t take my word for it. AAMC released their own guidelines for what medical schools look for in letters (and they look quite similar to my own criteria). Of course, these qualities need to be proven through examples to give them credence. And it should go without saying - don’t include them all in one letter! I find that two or three qualities is plenty. Normally, you don’t want to focus on comparing yourself to others, but in a letter of recommendation, it’s a smart move. According to the AAMC guidelines, medical schools want your recommenders to compare you with your competition as a way to ensure your distinct, exemplary status as a candidate. Beyond trying to convey your best qualities through concrete examples, letters should connect them to your future as a medical student and physician (duh!). Sounds obvious, but I’ve read way too many letters that seem to have lost their point. Don’t leave it up to the readers to connect the dots; explain why patients, colleagues, and mentors will appreciate these qualities in future scenarios. Either through personal experience or conjecture, the recommender should explain how your qualities will translate into effective medical practice. Again, if you have any control over your letter, you should try to point your recommenders in the right direction by sharing the AAMC guidelines and offering some examples that they could use to prove you as qualified and unique. Reason 3 - Your letter of recommendation is WAY too long. Students often give me funny looks when I tell them their letters should be one to two pages long. A page? A measly page? Will that impress admissions committees? Won’t other candidates be submitting four or five-page letters? Yes - there will definitely be candidates with LONG letters, but that’s usually a bad thing. When you go see a movie, how many times do you hear people complain about it being “too short” or “trying to do too little?” I’d be likely to laugh at that critique. More often, we’re disillusioned by extraneous material that needlessly wastes our time and focus. There’s nothing inherently stronger about long writing; at first glance, it might seem impressive that a recommender could fill out four pages of information about you. But it’s only impressive if the information is detailed, concrete, and substantive. It’s much better to have one to two pages of quality examples than four pages of vague, generic praise. I admit - there is such a thing as too short. I’ve heard occasional reports of rushed or disinterested recommenders sending only a single line in their letters. But that type of nightmarish situation is rare. More than likely, especially with your help, a recommender will be able to generate at least a page or two on your behalf. If you have direct control over the letter, try to serve as an objective editor for your recommender. What parts of their letter leave you convinced? Which parts fall flat? Does it have enough examples? Do they properly illustrate your qualities? Is every part of the letter purposeful and serving a clear function? Replace your name with “Johnny” or “Jessica” in the letter and assess whether you’d accept yourself as a hypothetical candidate. If you have no control over the letter, you can still let the recommenders know what you’ve learned about letters through your research (maybe share this article, for example!). It’s likely that recommenders will have the same misconceptions about letters as pre-meds, so don’t assume that they’re experts, even if they’ve written letters for past students. Again, make sure not to sound pushy or entitled when you share these insights with them. Your goal is to avoid the fate of Johnny or Jessica Pre-med: scrambling haphazardly to secure letters at the last minute. Do whatever you can to build solid relationships with supervisors in advance, so that when the time comes, they’ll be more than happy to help. Also remember that it’s never too early to ask for a letter. The more time you give them, the better the results will be. But securing letters is only the first step; you might have to work alongside your recommenders or provide them with the tools and insights they need to produce stellar writing. Whether or not you’re directly involved in your letters, I hope this article gives the guidance you need to ensure that your readers are totally impressed. Best of luck!